« CD Release Party Scheduled!!! Mike Ryan Coyotes and Cryin’ D.T. 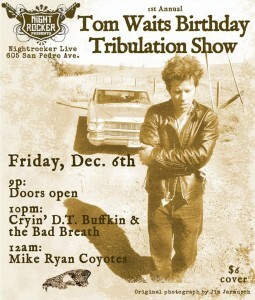 Buffkin & the Bad Breath will be performing a night of Tom Waits’ Songs in honor of Tom Waits’ birthday. 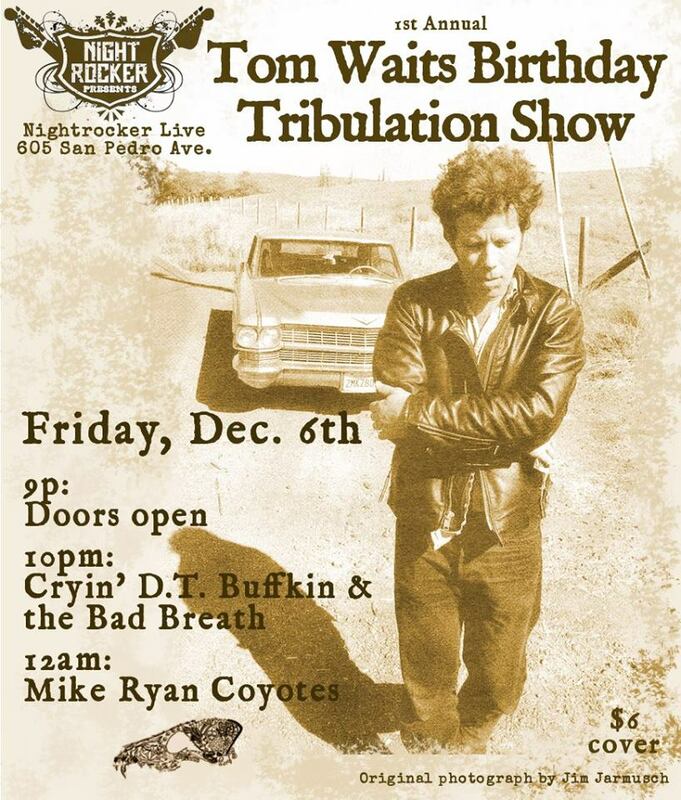 Join us in celebrating the unique talents of Tom Waits Friday, December 6th which will also mark the NIGHTROCKER LIVE Music Venue four year anniversary. This will be a huge undertaking for both bands, as they challenge their musical boundaries, push their …limitations, and debut objects rarely seen on a musical stage to recreate some of Tom Waits’ greatest hits. Song selections will span all 40 years of Tom Waits eclectic musical stylings including both his earlier more jazzy piano based songs and his later more avant-garde works. Mike Ryan Coyotes | Powered by Mantra & WordPress. © 2013-2019 Mike Ryan, all rights reserved. Web design by Mary Radicke.